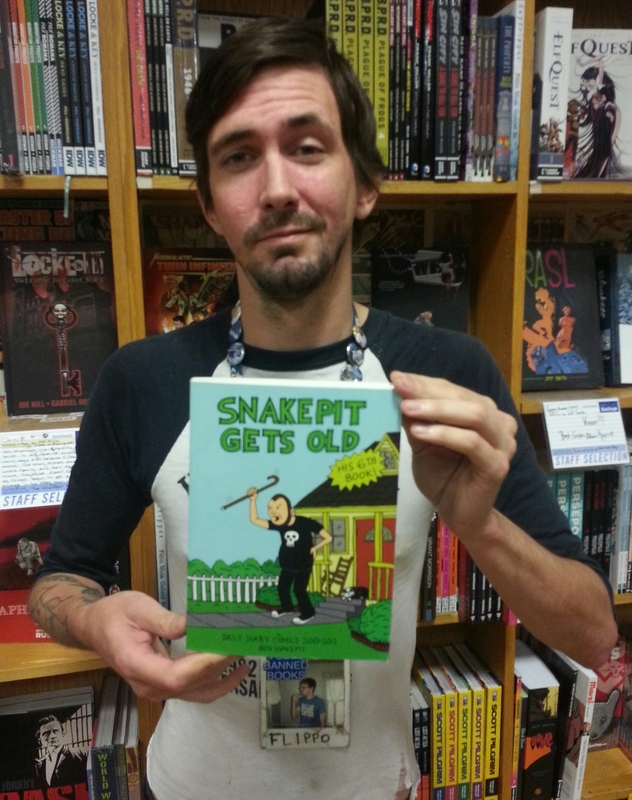 In his most recent collection (with a seventh, Manor Threat, coming soon), our baby boy’s all growned up! I’ve read through all his comics about his daily life starting all the way back in 2001 so I feel like we’re friends! Oh…wait…..Anyway, HIGHLY RECOMMENDED, or start with the first. Or whatever. A science fiction adventure about the adventures of Yorick, the last man on Earth, and his monkey is both deep and silly, epic and intimate. The characters are rich, there is just the right amount of humor, and much, much more heart than you’d expect at the end. 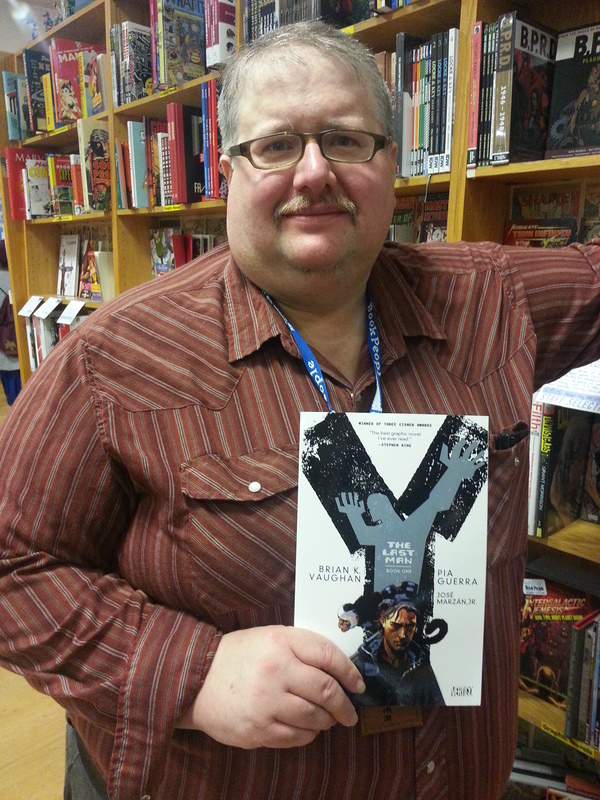 Written by the author of Saga, this is the book that put Brian K. Vaughan firmly on the map to super-stardom. 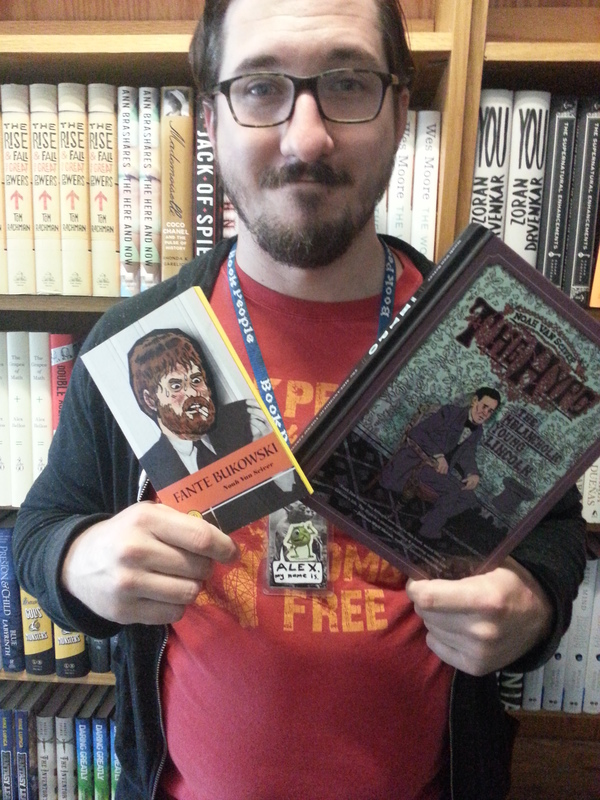 Just this week I got three issues of Noah Van Sciver’s Blammo, his one-man anthology from Kilgore Books, and now I saw his graphic novella Fante Bukowski is on our shelves. So now I know what I’m reading next! Van Sciver is one of my absolute favorite comic artists, equal parts Pekar, Crumb, and even Clowes, so I can’t recommend him highly enough. Also you should check out The Hypo, about a young, sad lawyer named Abraham Lincoln. First Gillen and McKelvie created Phonogram, a book about sorcerers who drew their power from music, specifically 90s/00s Britpop. Then Gillen, in the pages of Journey Into Mystery, elevated Tony Wilson (Factory Records, 24 Hour Party People) into a minor Marvel deity. 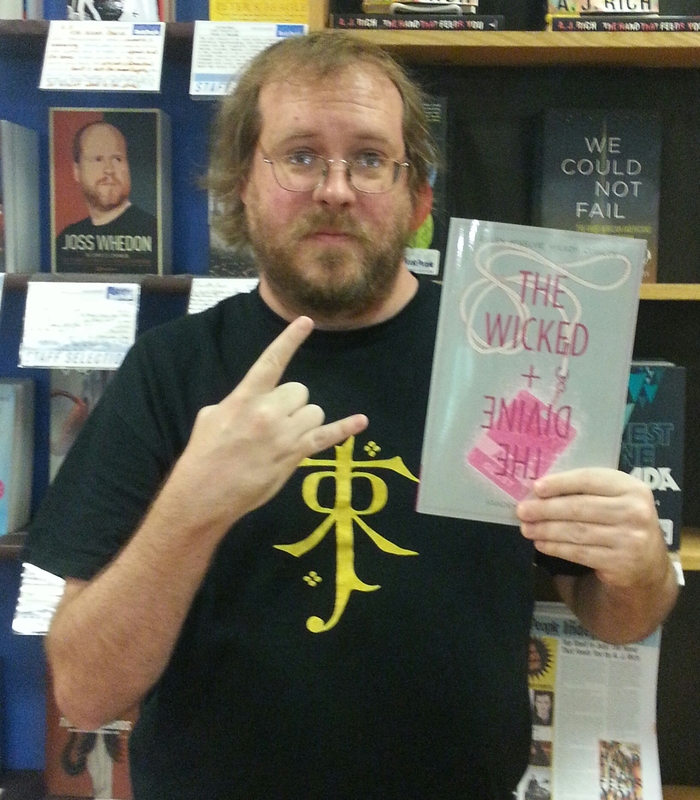 Now, reunited with McKelvie, they have given us The Wicked + The Divine, a story where every 90 years a select group of gods and goddesses are reincarnated as pop stars. If, like me, you’re a devoted fan of pop music and a record junkie, these books are for you. The second volume of The Wicked + the Divine just came out this week and Fandemonium may well be one of my favorite titles ever. 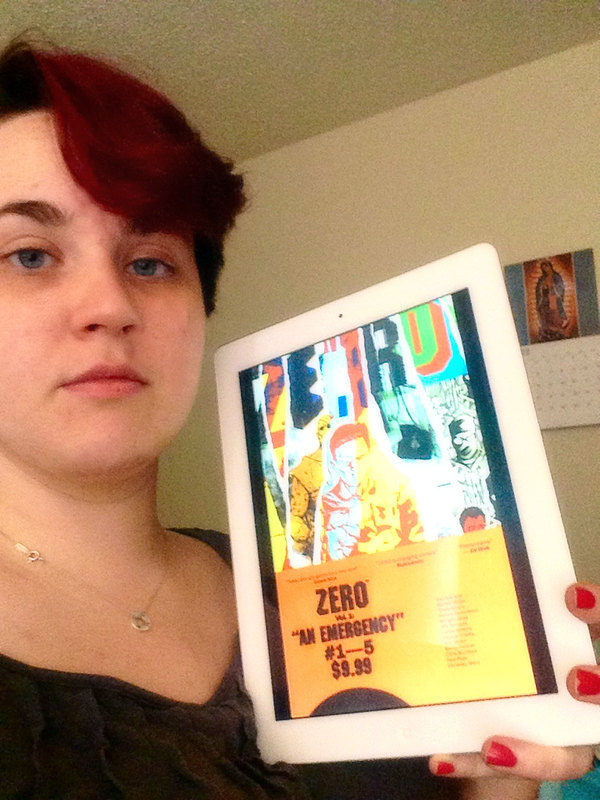 The last issue of Ales Kot’s weird, incredible book Zero came out this month. Kot is making a name for himself in the comic book world, spearheading a volume of Secret Avengers for Marvel (in which there is a sentient bomb named Vladimir and a remarkable number of Jorge Luis Borges references) and dabbling in the now-cinematic Suicide Squad for DC. But his true strengths lie in the remarkable Zero–a strange, violent, apocalyptic spy thriller that features a different artist for each of its 18 issues. Zero follows a secret agent named, predictably, Edward Zero, as he traverses time and space towards the end of the world. Zero is, like much of Kot’s work, cryptic and weird as heck, but the threads of the story tie together in a fascinating conclusion. Zero Vol. 1-3 are available now; Zero Vol. 4 will be available August 11.